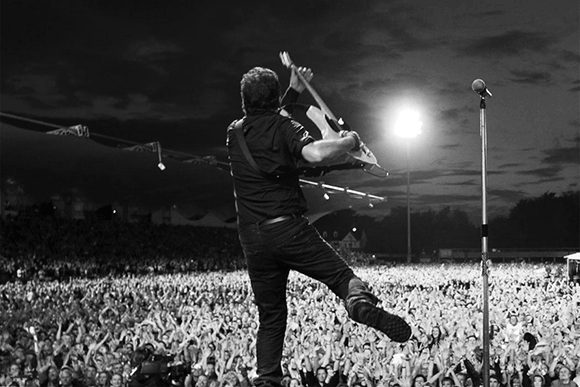 The legendary jersey based Heartland rocker Bruce Springsteen & The E Street Band are coming to Farm Bureau Live on Saturday 3rd September 2016! Bruce Springsteen is one of the most famous names on the music scene, with his incredible catalogue of songs. Most notably for the mid 1980's smash hit album "Born In The U.S.A." which included the title track plus the huge power rock classic "Dancing In The Dark" and the bluesy heartfelt number "I'm On Fire." Don't miss your once in a lifetime opportunity to catch him LIVE this Fall! "When Bruce Springsteen and the E-Street Band played their second and last show at Brooklyn’s Barclay Center on April 25, everyone thought it was a farewell to The River Tour for North America. They were wrong. After three months traveling around Europe, Springsteen will return to the U.S. on August 23 for eight more shows!" "The tour features a full playing of the 1980 album The River followed by other songs from the Springsteen songbook. It has also become somewhat of a tribute tour with Bruce performing songs by Eagles, Bowie and Prince along the way."